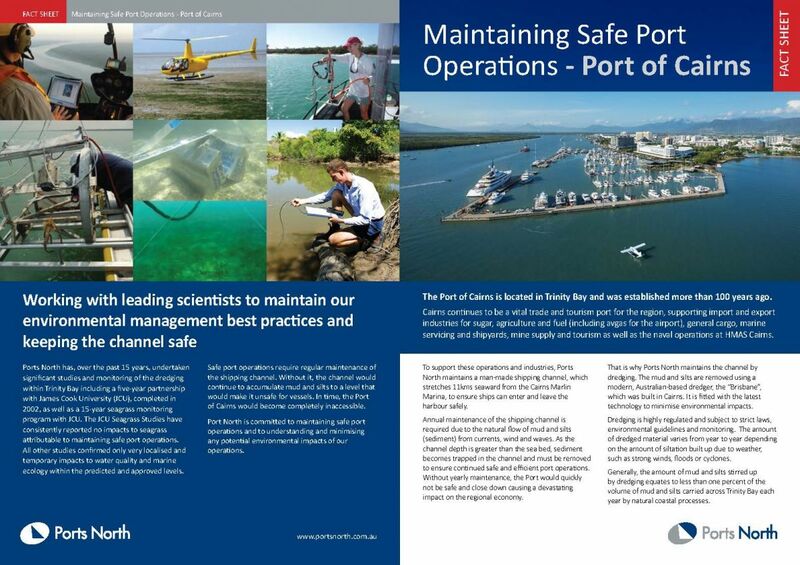 Ports North has worked with Queensland Ports Association (QPA) over the last 18 months on a study to address in the Water Quality Action 17 in Reef 2050 Long Term Sustainability Plan. To support this work, BMT WBM have prepared a quantitative sediment budget of the entire Great Barrier Reef (GBR) and regions surrounding GBR ports. This work was scoped in 2017 with input from research agencies and has been reviewed by Environment Managers from each port authority, QPA and technical specialists engage by QPA. In addition, it has also been the subject of independent peer review. Ports North manages five ports within the Great Barrier Reef World Heritage Area, and these operations are conducted under significant environmental controls across a broad range of legislative processes to ensure port operations are managed to a high standard given their location in highly sensitive areas. The Queensland Governments actions under the Reef 2050 Long Term Sustainability Plan have included the development of the Queensland Maintenance Dredging Strategy, which requires each of the ports within the GBRWHA to develop a Long-Term Maintenance Dredge Management Plan (LTMDMP). Aim to implement leading practice to ensure efficient operation of those ports. The Ports North’s long-term maintenance dredging management plans have been drafted in accordance with these core principles and to recognise existing Federal frameworks applicable to Marine Parks and Sea Dumping Permits. This will address and outline the management approach for continual improvement in environmental performance for maintenance dredging where it occurs. 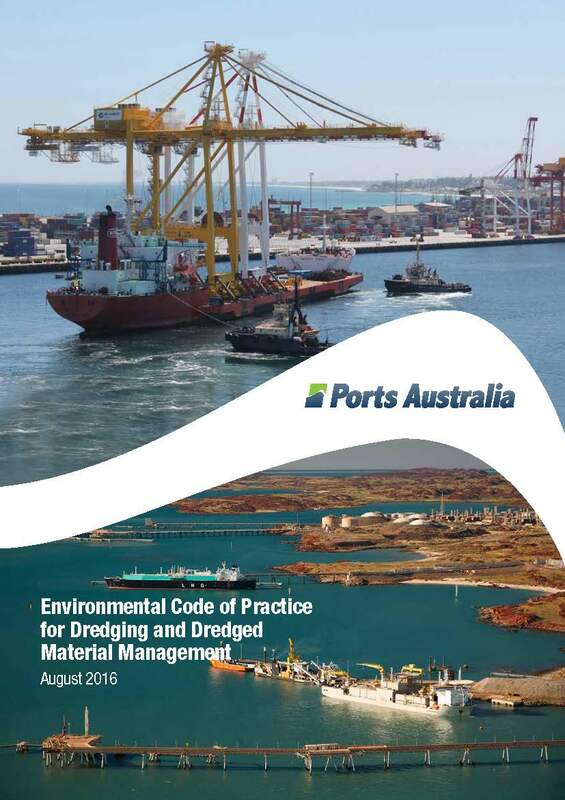 These plans have also considered and incorporated the Ports Australia Code of Practice and take into consideration a range of research and monitoring outcomes available via our networks within the Queensland Ports Association. The LMDMPs describe important environmental, social, and economic values of each port location, and where applicable, capture all aspects associated with dredging and the management of dredge material. Draft Plans for Mourilyan, Cairns, Cooktown, Cape Flattery and Quintell Beach are found below. It is important to note that each of these ports have different coastal processes that define sediment movement, and as such, maintenance dredging is not required at some locations. This status is unlikely to change. These LTMDMPs will be used as reference documents on the status of responsibilities, and dredging requirements or, where applicable, as a support document for future dredging and placement applications to relevant regulators. Consistent with the process underway for each of the other GBR ports, these will be active documents which will be reviewed and adapted as knowledge and understanding progresses. Stakeholder input will be essential to this as we continue to work together to ensure sound ongoing management of maintenance dredging at Queensland’s ports.